“While we can’t officially call it a La Nina yet, we expect that this pattern will continue to develop during the next three months, meeting the NOAA definition for a La Nina event later this year,” said Mike Halpert, acting deputy director of the National Oceanic and Atmospheric Administration’s prediction center. La Nina refers to the periodic cooling of ocean surface temperatures in the central and east-central equatorial Pacific that occur every three to five years. With La Nina developing, seasonal forecasters expect wetter than average conditions in the Pacific Northwest and drier than average conditions in the drought stricken Southwestern United States this fall. “Nearly all operational dynamical models, including the National Centers for Environmental Prediction’s climate forecast system and many of the statistical models also favor a La Nina event,” said Halpert. 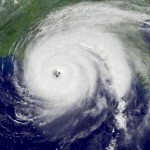 Wow,I remeber when it hit in the nineties… very tragic damage! I don’t want it to hit again!